Beasts of the Southern Wild Returns to Theaters January 18. Quvenzhane Wallis and Dwight Henry star in Oscar-nominated drama based on the stage play Juicy and Delicious by Lucy Alibar. 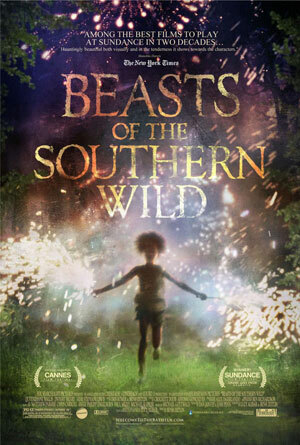 Watch the movie trailer and featurette for Beasts of the Southern Wild below. Faced with her father’s fading health and environmental changes that release an army of prehistoric creatures called Aurochs, six-year-old Hushpuppy (Wallis) leaves her Delta-community home in search of her mother. MPAA Rating: (PG-13) for thematic material including child imperilment, some disturbing images, language and brief sensuality.